The world is being changed dramatically with the growing of veganism, and few industries have now felt its impact. The makeup industry is changing rapidly and dramatically. Companies are struggling to change their formulas or create vegan lines to accommodate the growing desire for cruelty free and vegan cosmetics. The vegan makeup industry is booming and expected to continue growing, as sales were estimated to be 12.9 billion for the year 2017. The industry is projected to increase in sales the next six years up to 20.9 billion dollars by the year 2025. It’s suggested that in conjunction with the growing of veganism in general, more consumers are demanding that their products aren’t only cruelty free but exclude all byproducts of animal abuse This they demand as the reality of the ingredients is becoming more available via social media, in articles as well as through Influencers on a variety of platforms such as YouTube and Instagram. With the current demand for high quality, high performance vegan brands as well as the overlap of consumers wanting more non toxic, non synthetic, natural and organic options, it is the perfect time to switch over your cosmetics to vegan and cleaner options. Whether you’re new to cruelty-free makeup brands or a seasoned veteran, this list is extensive and contains a wide variety of companies that are on the forefront of vegan makeup. The companies we’ve selected all offer a great range of vegan products. While most are organic or natural, a few are not but are simply vegan, cruelty free and usually slightly cheaper. Some of the companies we share are a bit more expensive. While others offer high quality, pro-grade products at extremely affordable prices. So it’s worthwhile to check out every company to see what they offer and at what cost. Last year, we shared The Ultimate List of Vegan Cosmetics to showcase some of our favorites. While some of those that we consider the best of the best appear on this list, there are also some new companies. We searched far and wide for the best vegan makeup products on the market. There are currently more and more companies offering vegan lines or are exclusively vegan. We researched to find the companies that have the best quality, the best reviews, the best products and a wide range of price points so that anyone can start building their vegan makeup collection no matter what their budget. We suspect 2019 will be a big year for veganism. And we look forward to checking out what new products these companies introduce as well as what new companies emerge. Axiology describes themselves as 100% evil free and we couldn’t agree more. 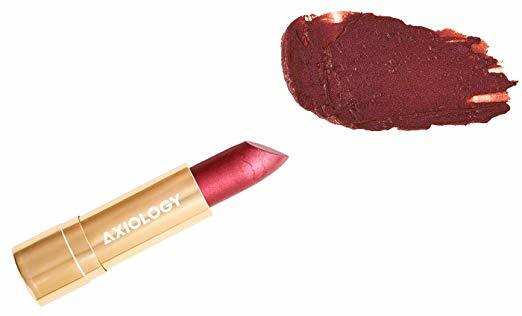 This PETA certified vegan and cruelty free lipstick company uses mostly organic, all natural ingredients while omitting things like palm oil, soy and gluten. They offer a wide range of lipstick colors from more classic shades to bolder, trendier ones and everything in between. The company also donates a portion of profits to animal welfare charities. That's why they're one of our favorite companies to invest in while enjoying a touch of color for our lips. They offer an impressive array of almost thirty different shades of lipsticks as well as lip crayons. They also have makeup bags and shirts with the slogan “bunnies over profit”. We couldn’t choose a favorite shade of lipstick because they’re all amazing. However, their enlighten shade is worth checking out. It’s a sheer, silvery, shimmery lavender that takes us back to the 90’s in the best way possible. Au Naturale Cosmetics prides itself on being an all natural, organic, vegan, and paraben-free company. It is cutting through the toxic industry of cosmetics to bring only healthy, natural beauty options that are high performance. The company only sources ingredients that are “ethically sound, factually healthy & naturally sourced.” As such, you know that you can trust your makeup will only contribute to your natural beauty, not slowly poison you or the planet. They have an extensive line of products and a wide variety of of stunning colors. This makes them a great choice for your beauty needs. They offer foundation, concealer, corrector, powder, blush in multiple forms, highlighter, bronzer in multiple forms, brow pencil, eye shadows, eye pencils, lip stain, lipstick, lip pencil, lip gloss, brushes, bags and kits. We love their All Glowing Creme Highlighter. Available in three shades, its sheer yet reflective and helps to highlight and define. It’s the perfect stick to use when you prefer to go “au natural” but want a little something extra. 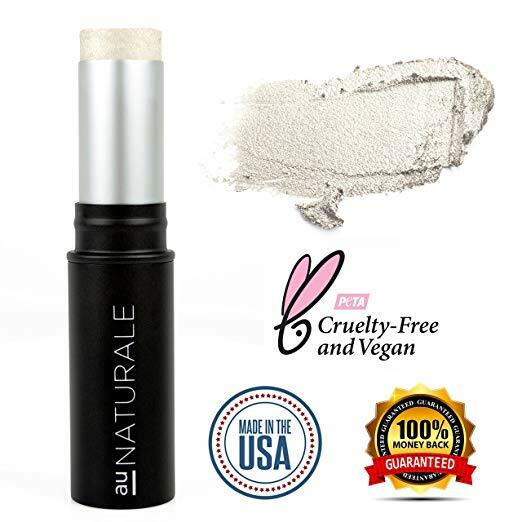 This Peta certified vegan and cruelty free company was created by a professional makeup artist who wanted clean, vegan makeup that was pro grade and affordable. Each makeup blend is made with 15 ingredients or fewer using clean ingredients sans parabens, phthalates, synthetic fragrance or flavor. Not only is this line made using mostly natural ingredients, they strive to ensure their products are created with inclusivity and representation in mind. This makes it a company that is truly for all people, not just a select mold. 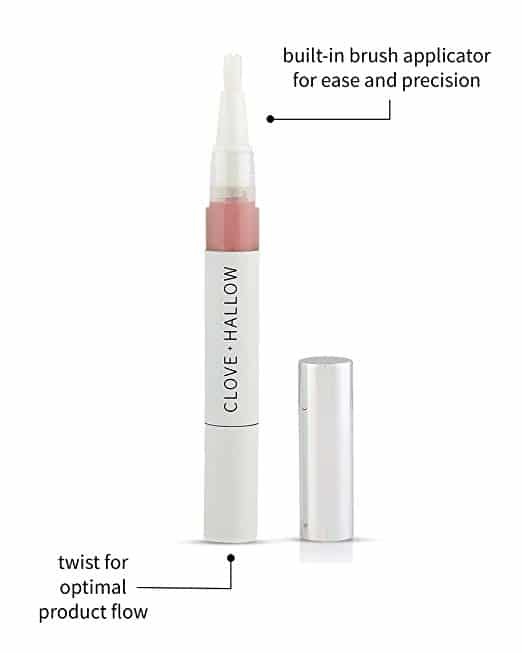 Clove + Hallow offers concealer, foundation, bronzing powder, blush serum, lip velvet, lip glaze, lip crème and makeup melt. Their lip glaze is the perfect liquid lipstick, drying matte and promising to be smudge proof. We can’t get enough of the shade Fiesta, it’s bright red and looks great on every complexion. This line of lip and eye makeup has an extensive range of colors, particularly deep, bold and adventurous (some might even call them wild) shades. They're great for those who like to explore makeup colors outside of the traditional variety. This company is gluten free, paraben free, preservative free, talc free, bismuth oxychloride free, fragrance free and doesn’t use cheap fillers. The prices are extremely affordable making it a great place to stock up on your favorite shades of eye and lip makeup. 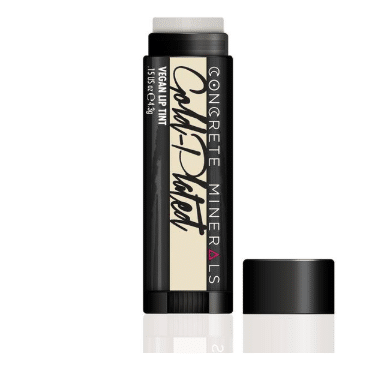 Concrete Minerals offers eye shadow, eye primer and lip tints. We can’t get enough of their black magic eyeshadow collection. It’s witchy and celestial with its deep shades and hints of purples, lavenders and reds. Cover FX is a professional quality Peta approved vegan company that makes primarily skin-based makeup products for everyone. This includes their foundation which they offer in 40 shades. They thrive to create customizable and innovative products while excluding ingredients such as parabens, fragrance, gluten, mineral oil, and talc. The company even makes it easy to ensure you’re getting the right colored product with options such as connecting with them via site chat or through customer service email. Cover FX offers primer, corrector, concealer, foundation, highlighter, bronzer, setting powder, setting spray, crème color, glitter drops, and brushes. 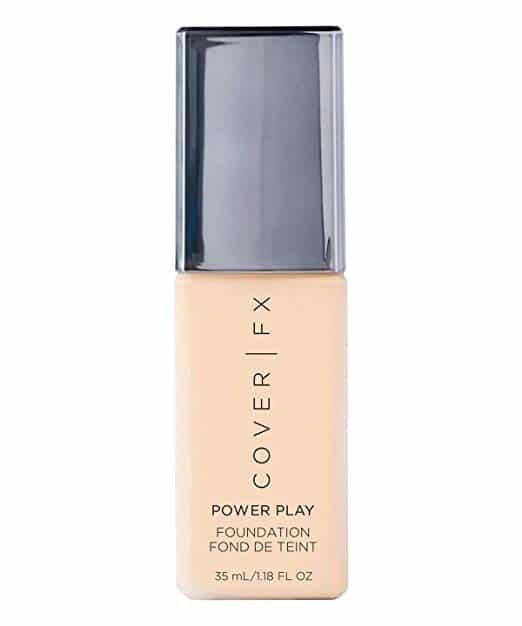 Their Power Play Foundation is one of their best sellers and for good reason. It’s lightweight, promises all-day wear, and comes in 40 shades. It is perfect for anyone who wants an even toned, flawless look. 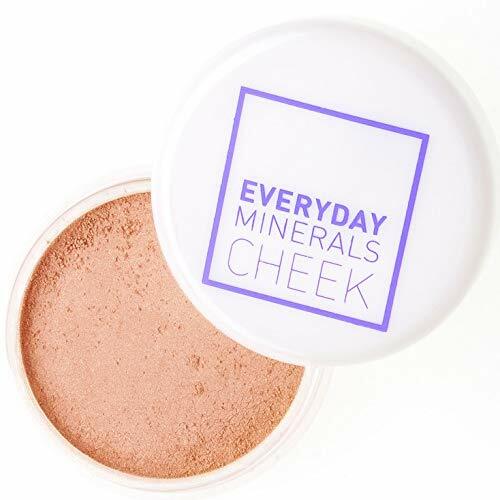 Everyday Minerals is a cruelty free and vegan company that strives to help women feel naturally beautiful using sustainable, natural ingredients. The company handmakes all their products and uses eco friendly and recyclable packaging in an effort to reduce waste. The company offers a variety of shades in their line from subtle to bold. They offer them all at an extremely affordable price point. Everyday Minerals offers concealers, blush, bronzers, eyeshadow, lip balm, lip gloss and makeup brushes. We love their luminous blush, it adds a nice iridescent warmth to one’s cheeks. 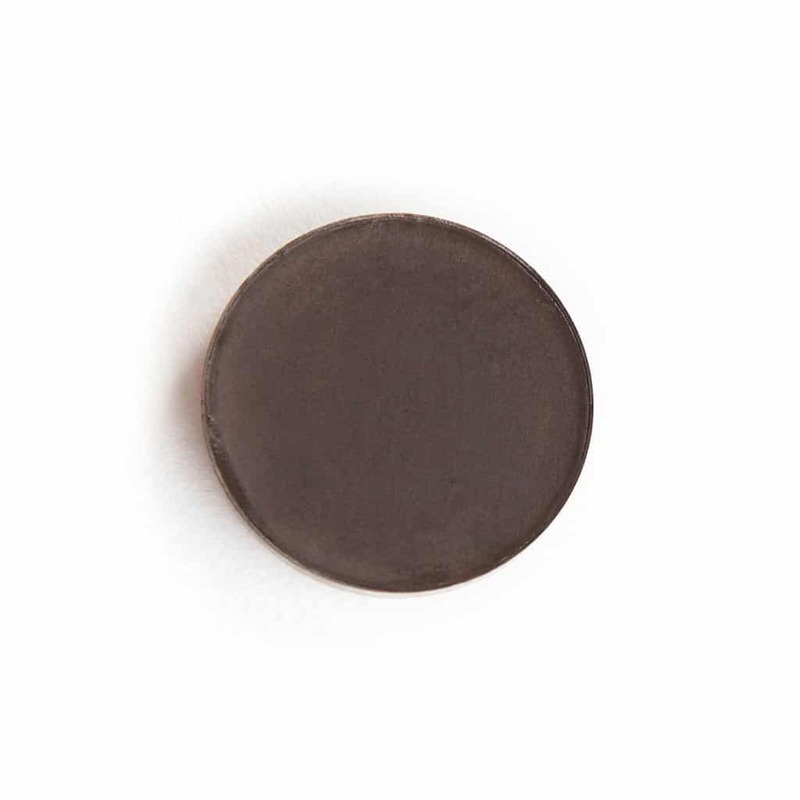 The blush is available in a wide variety of colors for all skin tones. It is great if you want a subtle hue or something more dramatic. We love the Raw Sugar Mountain Luminous Blush. It’s mostly subtle and shimmery for a soft yet warm touch of color. Gabriel Cosmetics is a vegan makeup company that has been around for 25 years. 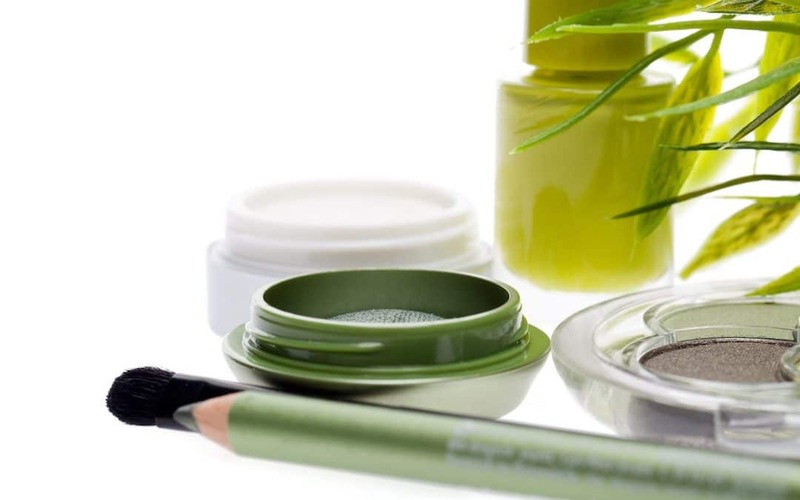 The company offers a more natural, less synthetic and completely cruelty free line. While Gabriel Cosmetics is not as natural, or organic, or clean as some of the other companies on this list, they make a high quality line that is free of a wide variety of items, which can be found here. This vegan makeup company offers great staple makeup products that are high quality at extremely affordable prices. Their products tend to be easier to find in stores such as Whole Foods Market. 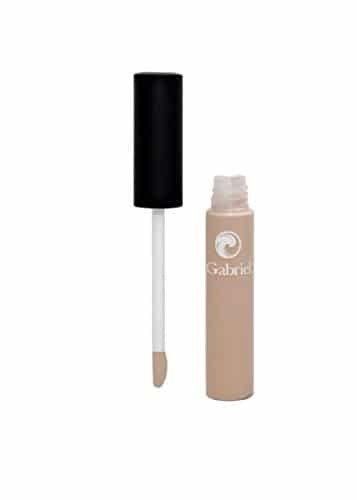 Gabriel Cosmetics offers foundation, concealer, primer, highlighter, blush, bronzer, eyeshadow, mascara, eyeliner and liquid eyeliner, lipstick, lip gloss and lip liner. We appreciate their affordable cream concealer, it’s lightweight, smooth and helps correct uneven skin tones while blending easily. This organic vegan company takes natural makeup very seriously. The company has created this line as detoxifying alternative to all the toxic products available. With an extremely thorough and extensive list of what you’ll never find in their products, their organic ingredients are a mix of new, trendy and exotic. Macadamia oil, Green Tea Extract, and Tamanu oil are some of the all star ingredients you can expect to find in their products. Inika offers primer, foundation, mineral powder, concealer, blush, highlighter, bronzer, skincare, eyeliner, eye shadow, eyebrow pencil, mascara, lip tint & gloss, lipstick, lip liner and brushes. 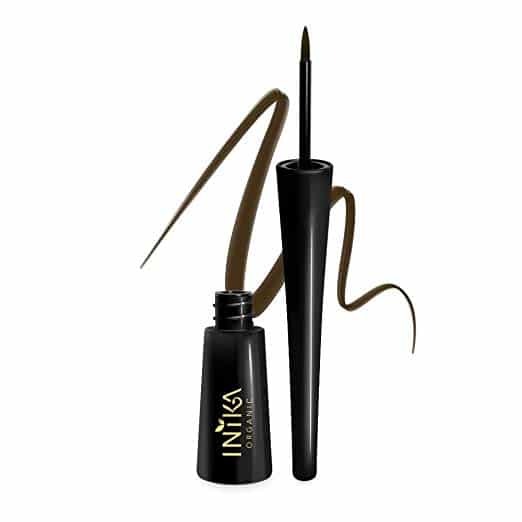 We are in love with their liquid eyeliner, made from a base of aloe vera amongst other natural ingredients. It’s long lasting, smudge proof, and great for those with sensitive eyes. Kat Von D is famous for a few reasons, and her makeup line is just one of her many accomplishments. This makeup line was created to be a high performance vegan makeup line that offers products that work well and are long lasting. The line has just about every makeup product you can think of in a wide variety of colors, from softer to extremely dramatic. This makes it well rounded and accommodating to everyone’s needs and tastes. Kat Von D offers lipstick, lipliner, glimmer veils, eyeshadow, eyeliner and liquid eyeliner, brow powders, foundation, concealer, powders, highlighter, primer, contouring, and brushes. The glimmer veils are liquid lipsticks in wild and vibrant colors that you cannot often find. They are worth investing in if you’re feeling vibrant or want to try something a little wild. This company offers all the essentials for your everyday makeup from classic shades to more modern, trendy and vibrant colors. They are on the cutting edge in the makeup industry, staying on top of trends to offer products for literally any makeup user, whether it’s daily usage or for more bold looks for special occasions. This company has an extensive list of items they will never use including talc, petrolatum and mineral oil. They use a few more processed ingredients than some other natural companies. However, they have a great philosophy and even share their “blacklist” of ingredients you will never find in their products. Milk Cosmetics offers powder, foundation, concealer, glitter, bronzer, highlighter, skin tint, primer, face gloss, face oil, lip and cheek tint, mascara, cream shadow, brow gel, eye shadow, eyebrow pencils, eyeliner, lipstick, lip gloss, lip vinyl, lip stain, makeup sets, as well as facial care and body care items. 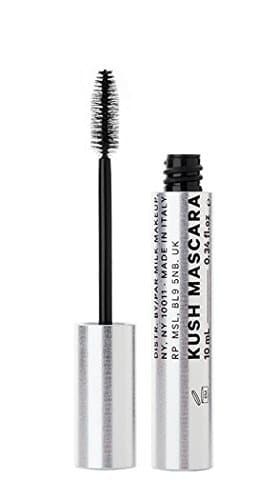 We love far too many of their products to list, but their Kush High Volume Mascara is amazing. 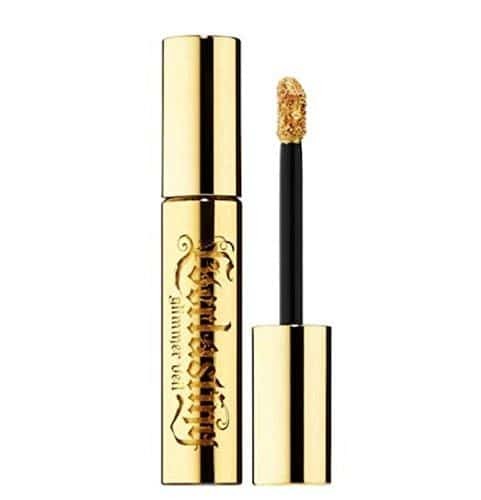 It delivers on it’s promise to boost volume and also contains the ultra popular cannabis oil, making it a smoother application, easy to remove, and helping to condition your lashes. Lastly, we must mention their glitter stick, which is a throwback to the 90’s. You can use it on eyelids, cheeks, lips for that sparkly and fun little extra. Pacifica is a vegan makeup and body care company that delivers a variety of products that are on point with current trends. The company uses a variety of trendy and healthy ingredients, such as kale and kombucha. Their makeup is fun, applies well and is easy to find at most Targets and Ultas. Pacifica offers mascara, eyeshadow, eye liner, primer, foundation, cc cream, bb cream, concealer, under eye brightener, correcting creams, highlighter, cheek color, bronzer, lipstick, lip gloss, lip tint as well as body care, facial care and hair care. 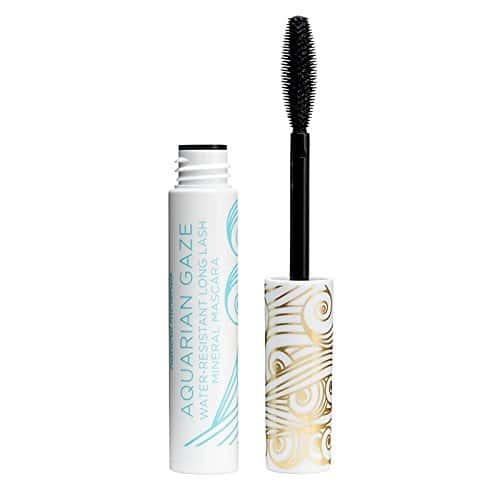 We were so excited to try their water proof mascara, which can be a true challenge in the natural and vegan makeup world. It applies well, stays on and doesn’t budge. This means you can use it every time you go swimming or know you’re going to a wedding that will be too beautiful to try to keep dry eyes. This company was started with the belief that safe, vegan makeup that is professional quality should be available for everyone while also affordable. This company will not allow parabens, gluten, sulfates, artificial fragrances or dyes, synthetic flavors, nano particles, or fillers in their products. Root Pretty also donates money every month to charity. This makes it a company that truly gives back to their community and others and helps to improve the world bit by bit. Root Pretty offers foundation, color correctors, bronzer, blush, under eye brightener, concealer, illuminator, mascara, eyeliner, eyeshadow, eyeshadow primer, brow powder, lip balm, lipstick, lip gloss, brushes, skincare, hair care, essential oils and home products. We love their brow pomade as it helps condition, fill in and hold your brows in place and in shape. By doing so, it sets the tone for any look whether natural or more bold. This high performance organic makeup line was created by a makeup artist who wanted to create a luxury line free of suspected carcinogens and synthetic preservatives. This line has been tested and is used by makeup artists. It is also perfect for at home enthusiasts who love quality, great colors and transparent ingredients. The colors range from classic to trendy. Their ingredient lists boast only natural, plant derived ingredients and omit a wide range of things such as gmo’s, parabens, and phthalates. Sappho offers foundations, primers, powders, cc creams, concealers, shimmers, blushes, makeup remover, brow pomades, mascara, eye shadow, lip gloss, compacts and brushes. 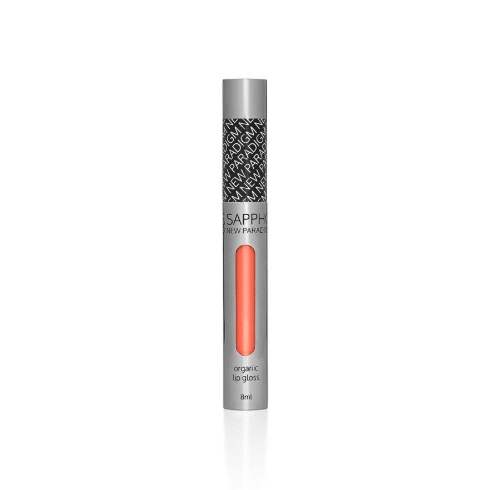 We love a good lip gloss and Sappho has an amazing line that is ultra hydrating. They use ingredients such as jojoba oil, coconut oil, shea butter and cacao butter. We love the shade Hazey, a perfect light, neutral pink that would look great on a variety of skin tones. Sugar Venom offers a high-quality line of cosmetics that is mineral based and contains no parabens, heavy metals, dangerous chemicals, palm oil, toxic ingredients, nano-particles, artificial fragrances, or gluten. They offer staples as well as fun and flirty colors for those who like to stand out or experiment with colors. Sugar Venom offers lip and cheek color, lip gloss, lipstick, eyeshadow, eye pencil, faux lashes, mascara, foundation, contour, and highlighter. Their eyeshadows are our must-have, with a wide range of colors that are all beautiful and shimmery. We love the bold, deep, rich colors available, such as Hutton, that glide on smoothly for a dramatic pop of color.